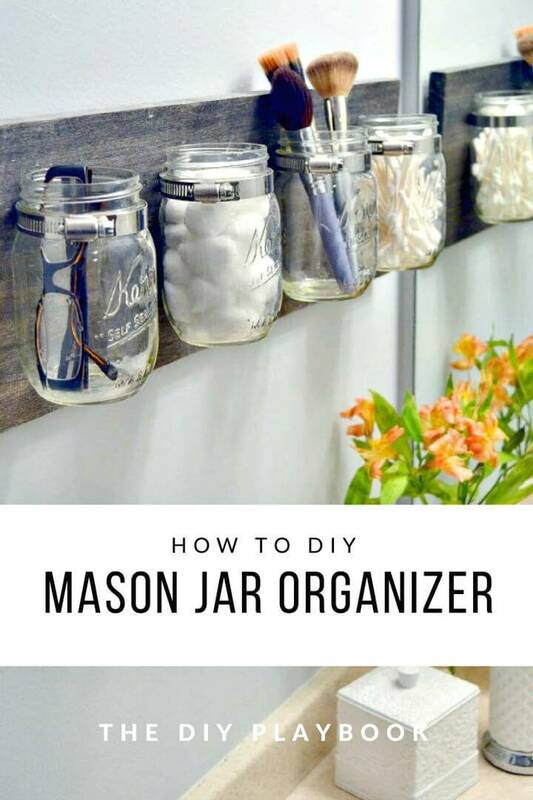 There tons of items that we use daily and they just add a lot to home clutter piles! 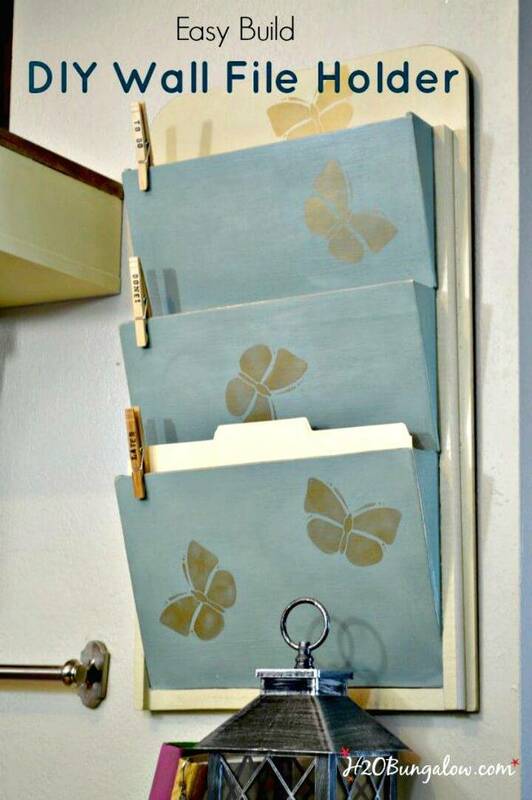 So, removing clutter safely and without causing a great disturbance to your home is becoming a big challenge! 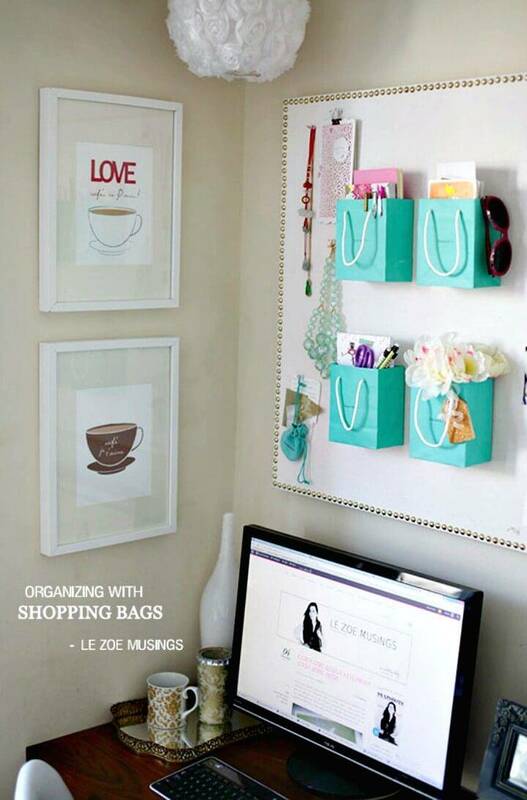 You can organize the messy collections of your things and stuff without installing the best organization stations! 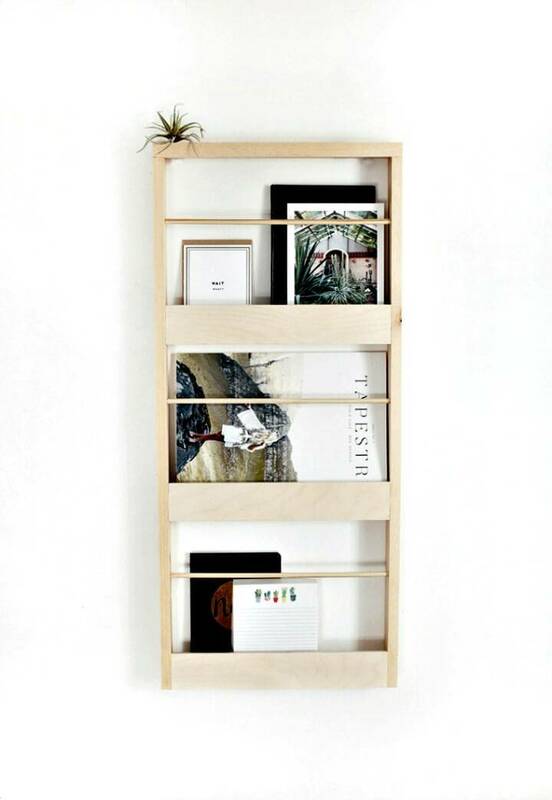 Adding bigger storage organizer, racks and shelving units is just great but they can also make your short on the interior home or room space, so if you don’t want to go through the short space issues in your home then adding lot of storage units and organizers will not be appreciated they would take too much of floor space, so why not make use of the vertical wall space to store and organize the interior clutters? 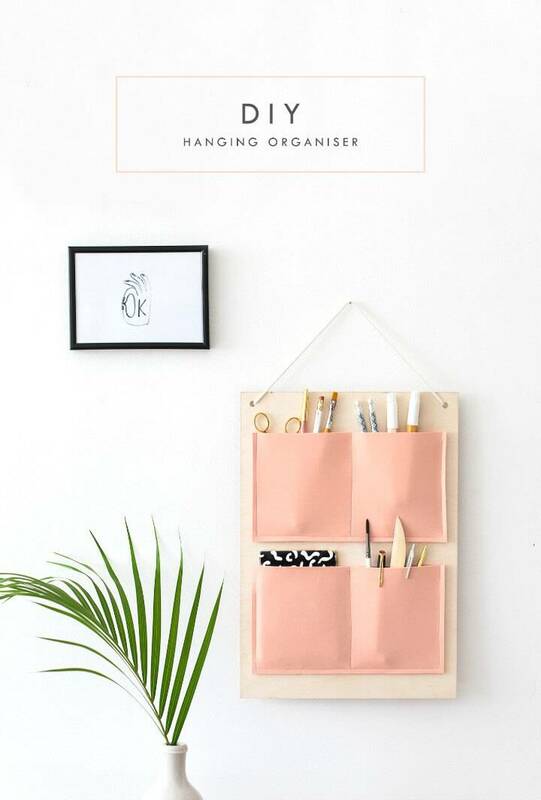 This is going to be a great idea, and you can install some wall storage organizer to your home to get zero clutter interiors without using further inches of your floor space! 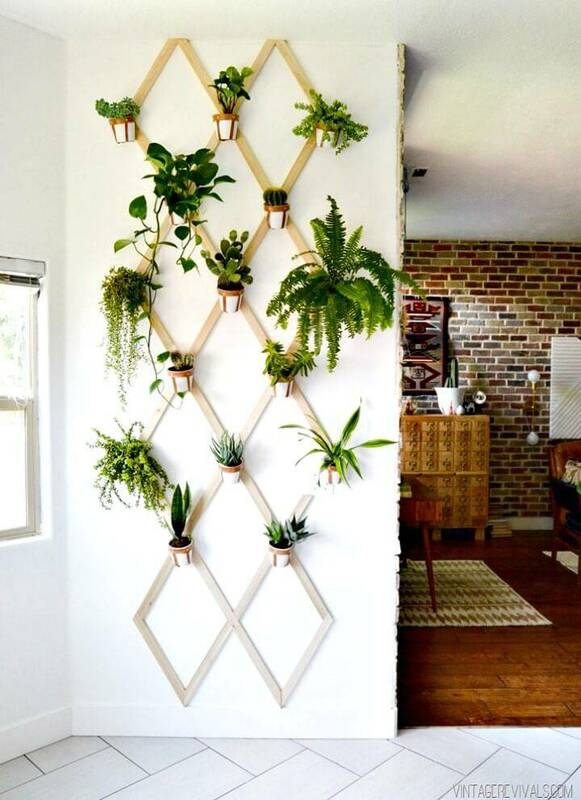 You can buy a lot of wall organizers, storage units and wall hanging shelving units but it will demand a lot of investments! 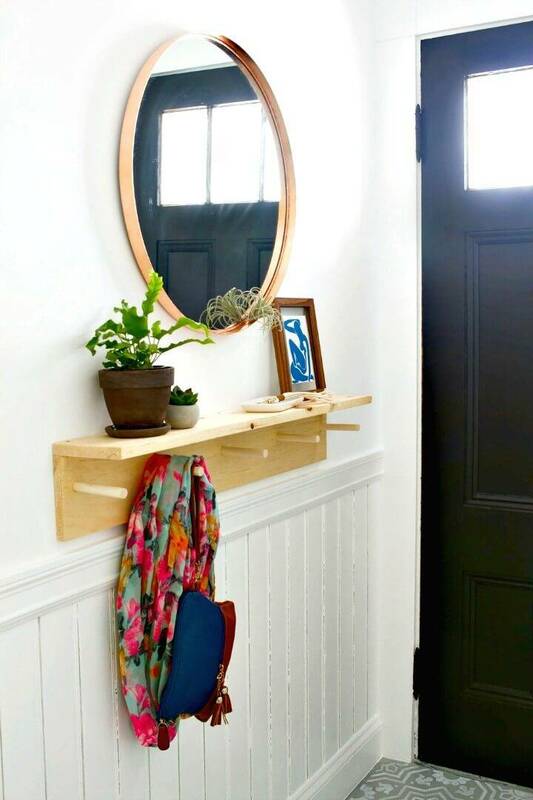 So, if you are tight on budget, then you can take some low-cost alternative solutions into considerations! 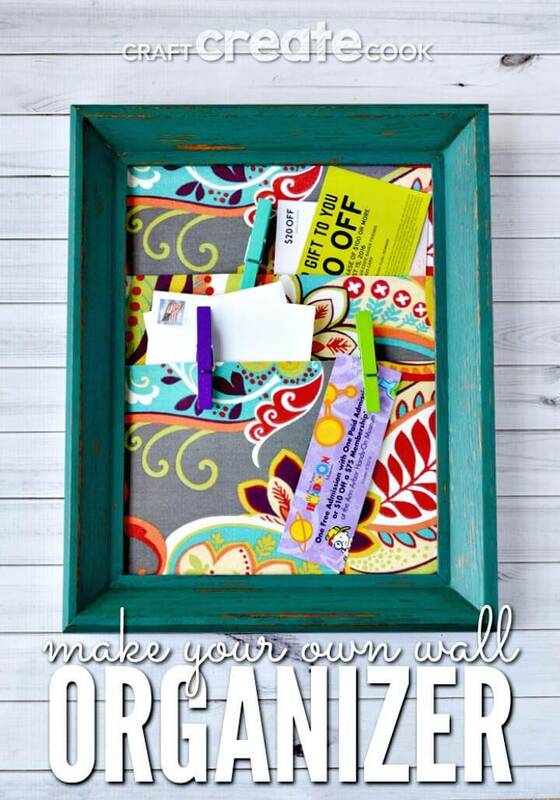 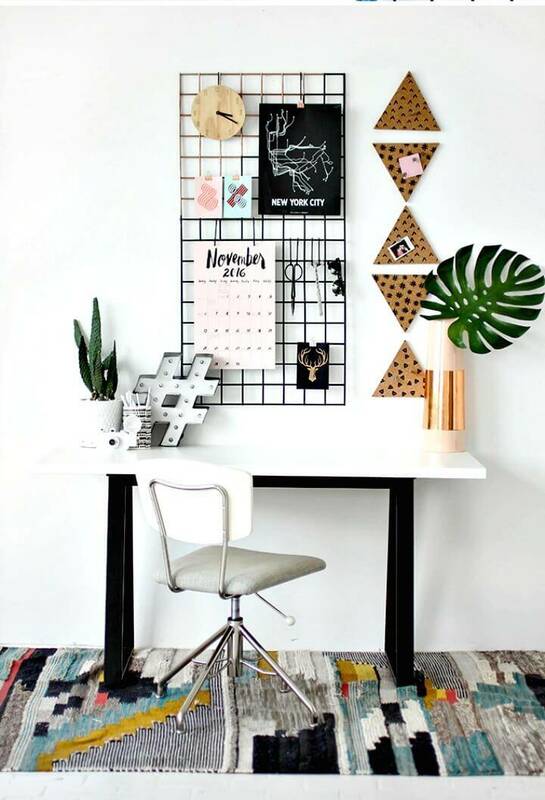 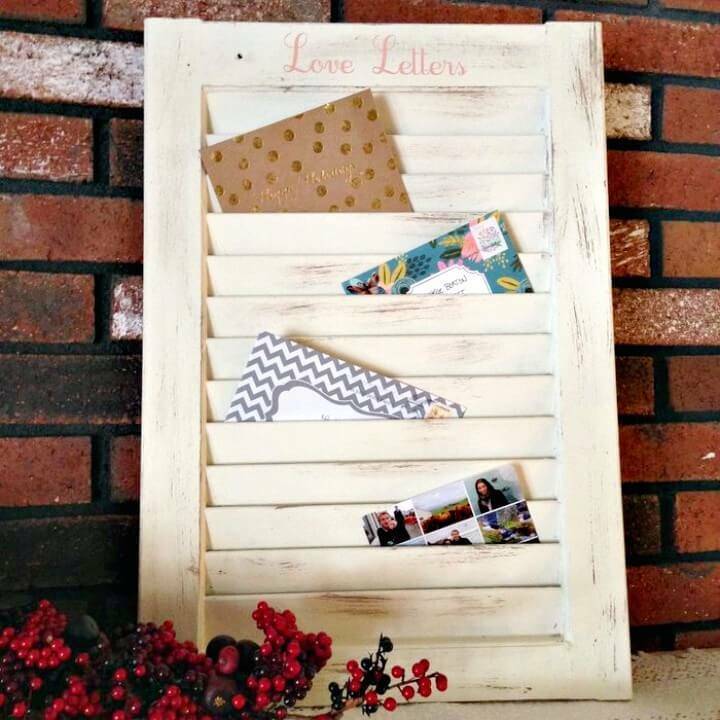 Just make your beautiful wall organizers at home using the items that are no longer in use and hence you will get great wall storage units and organizers without breaking the bank! 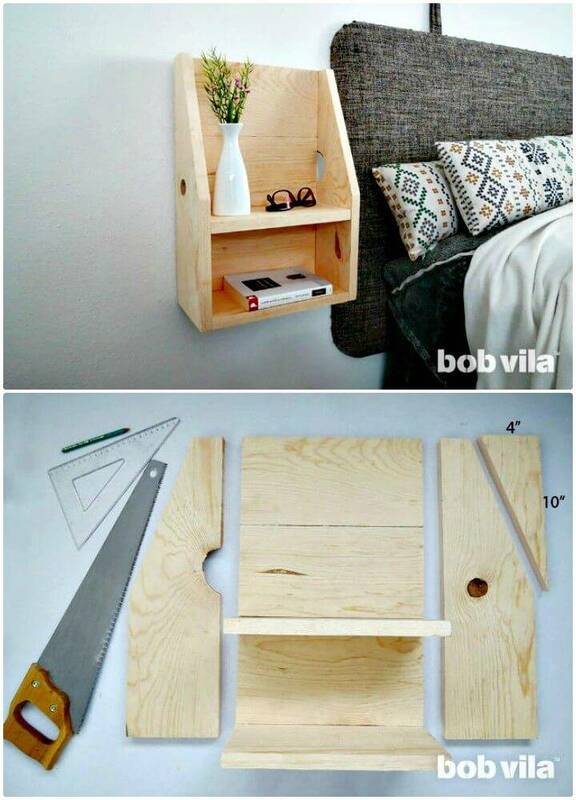 Need some ideas or inspirations to go ahead like a genius? 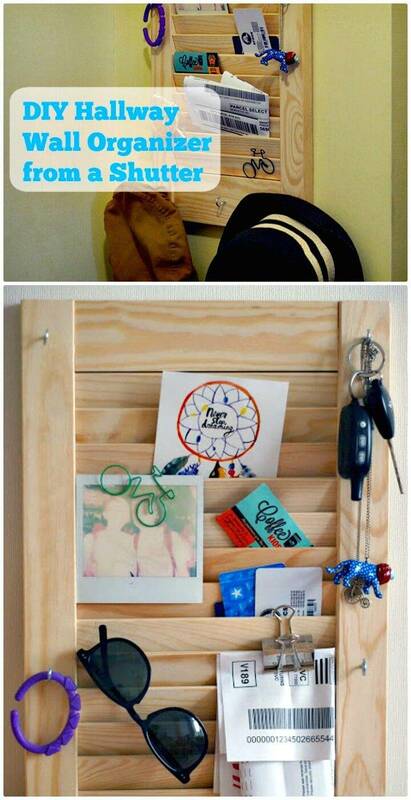 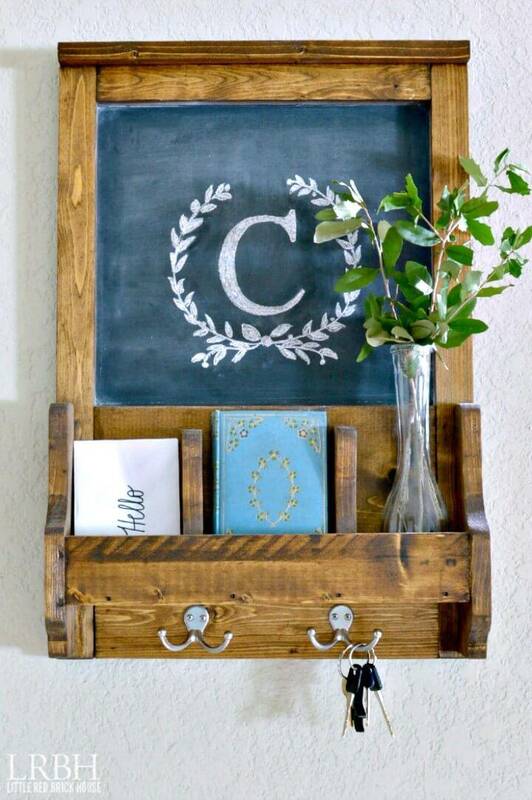 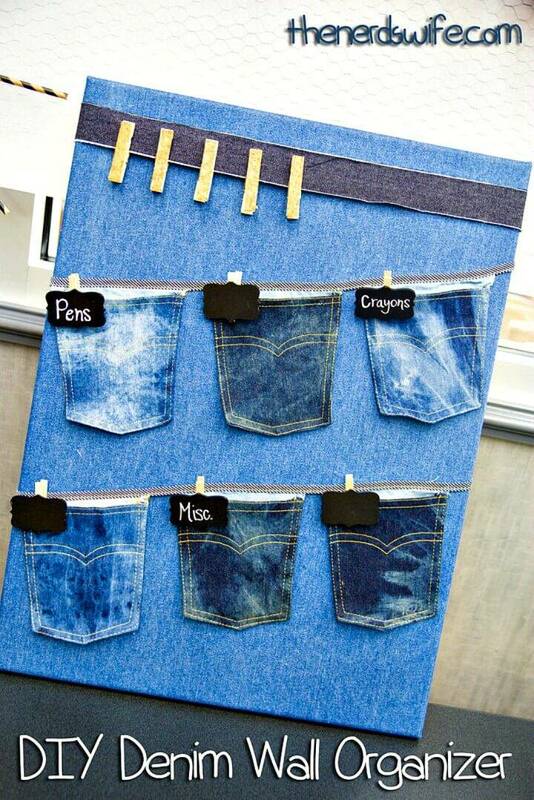 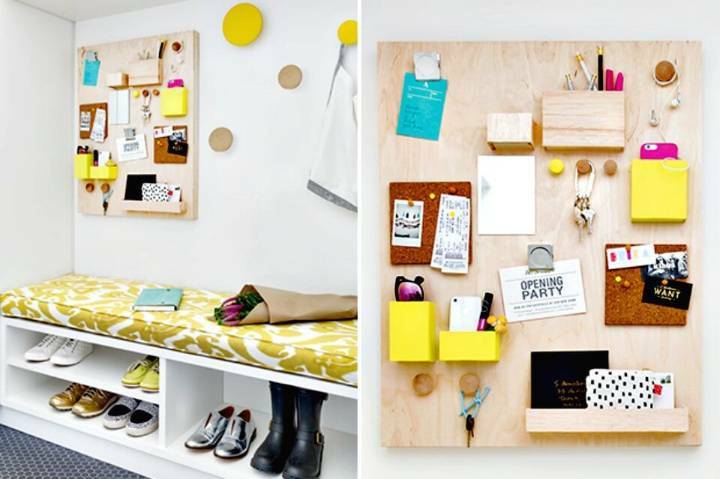 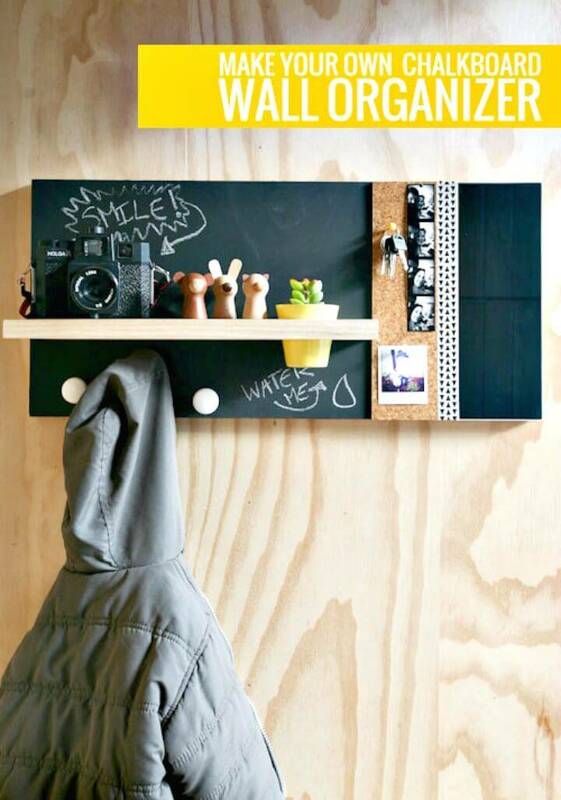 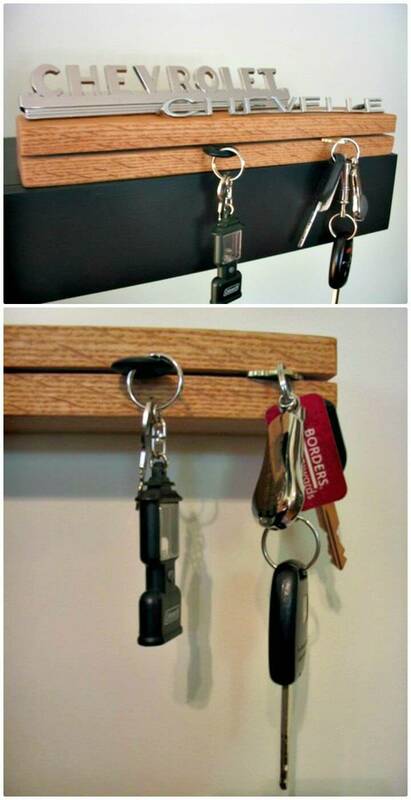 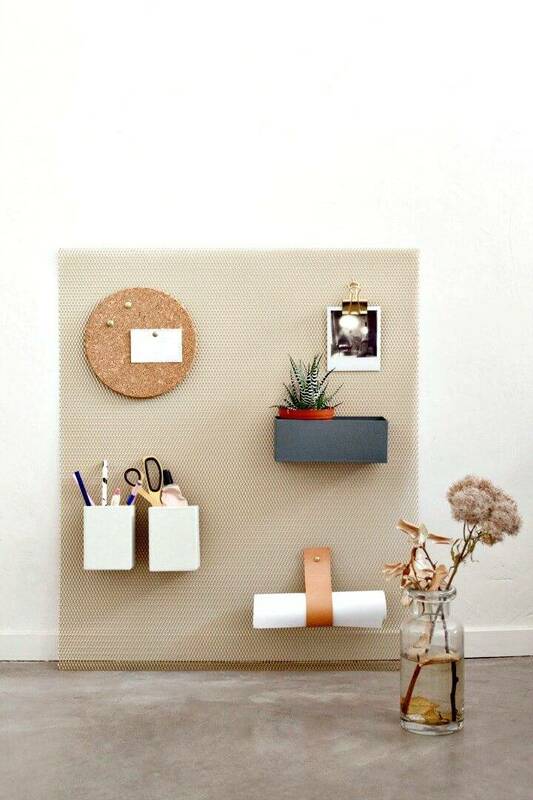 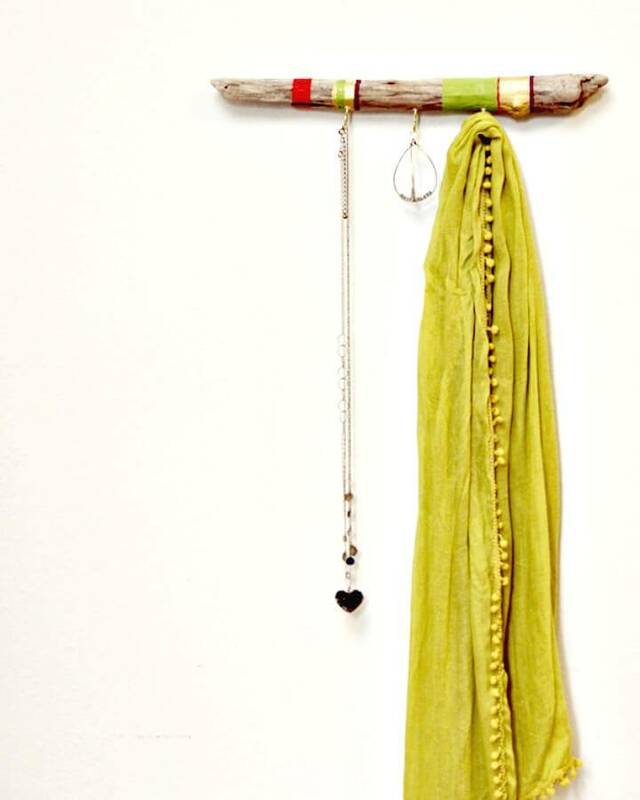 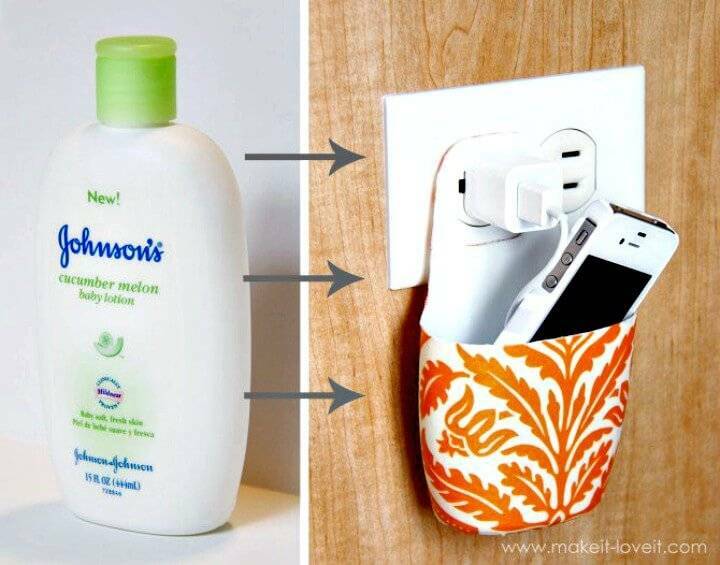 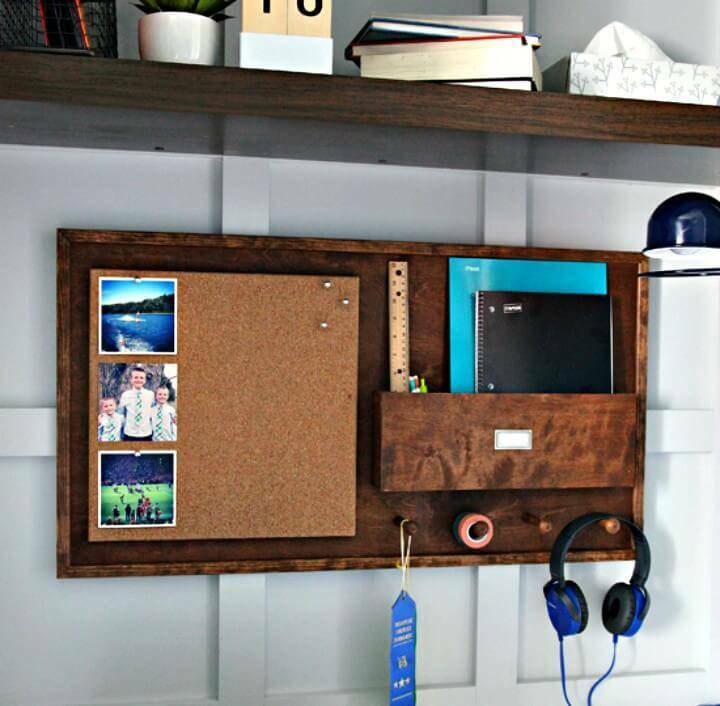 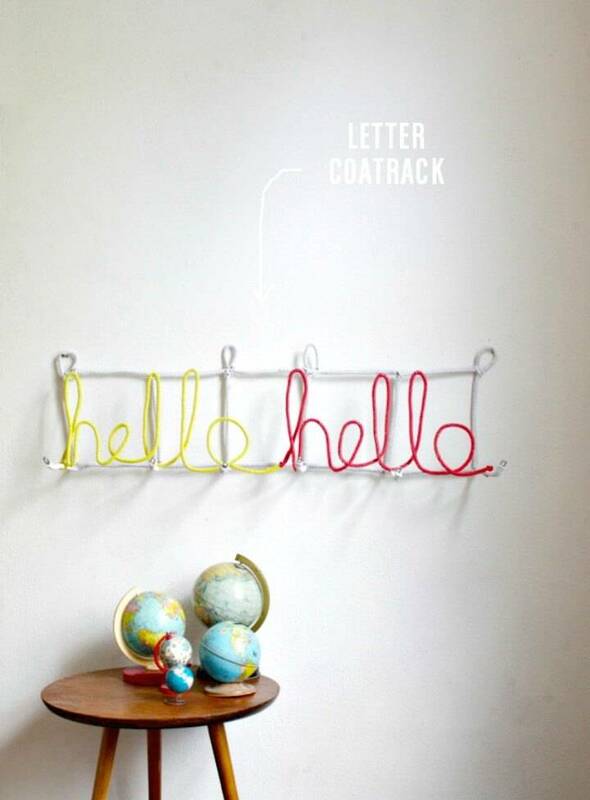 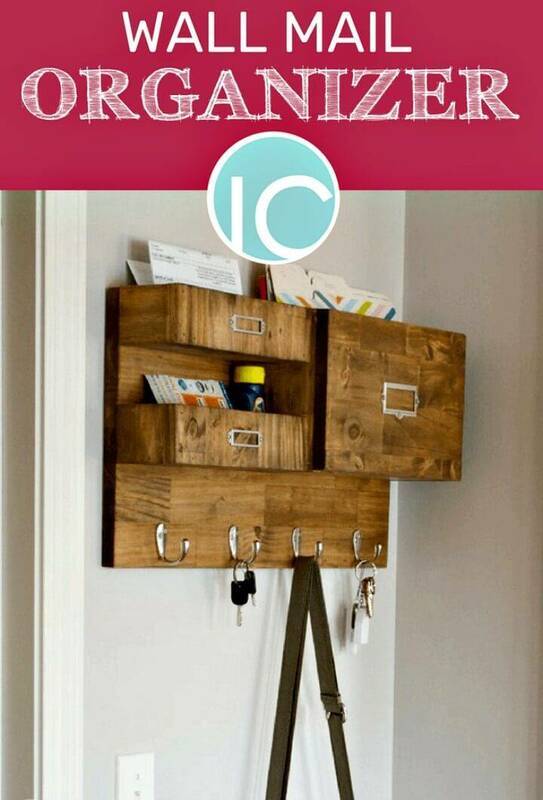 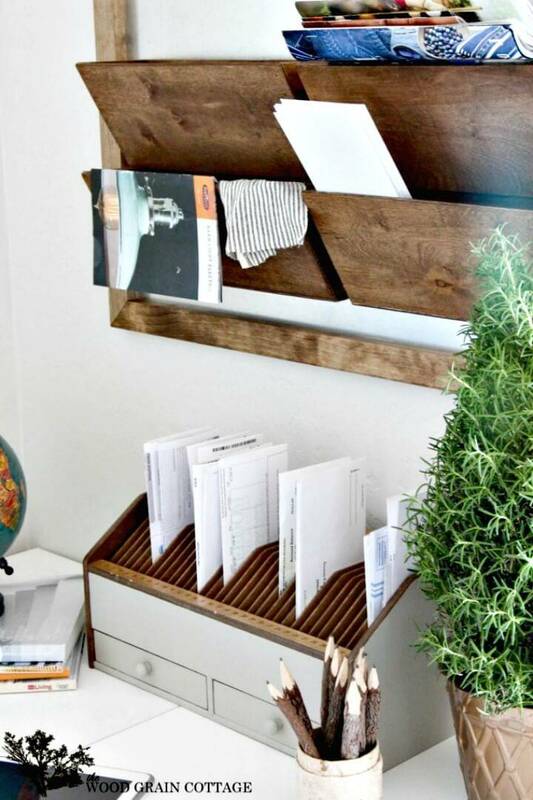 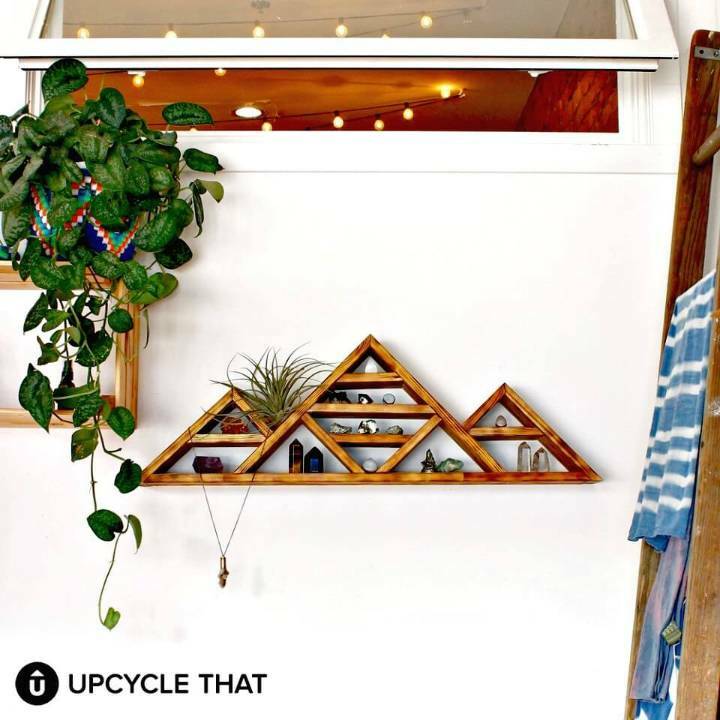 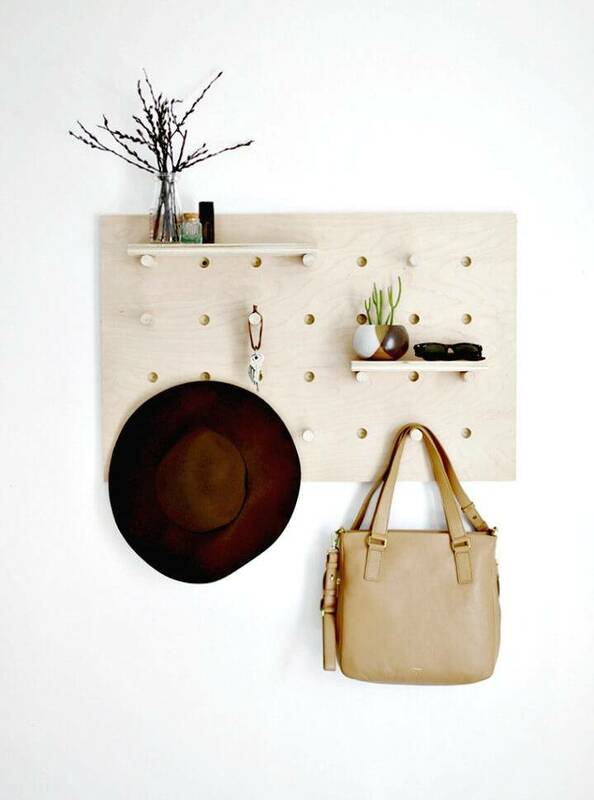 Then just have a look at these 52 DIY Wall Storage & Organization Ideas for Small Spaces that are too innovate to make you say a big ‘Wow’ and you will have too much fun also while duplicating these projects for your home and spaces! 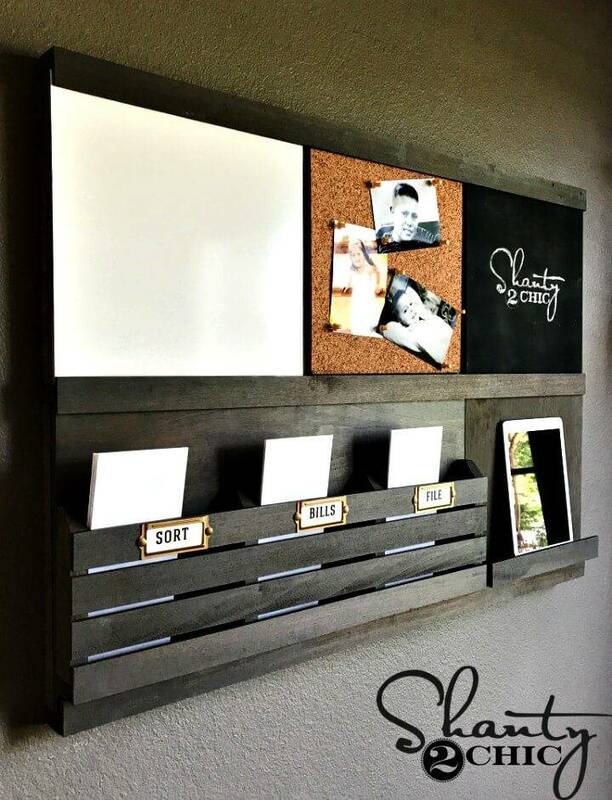 Time to shift your floor clutter to interior blank walls with the help of these homemade wall storage stations! 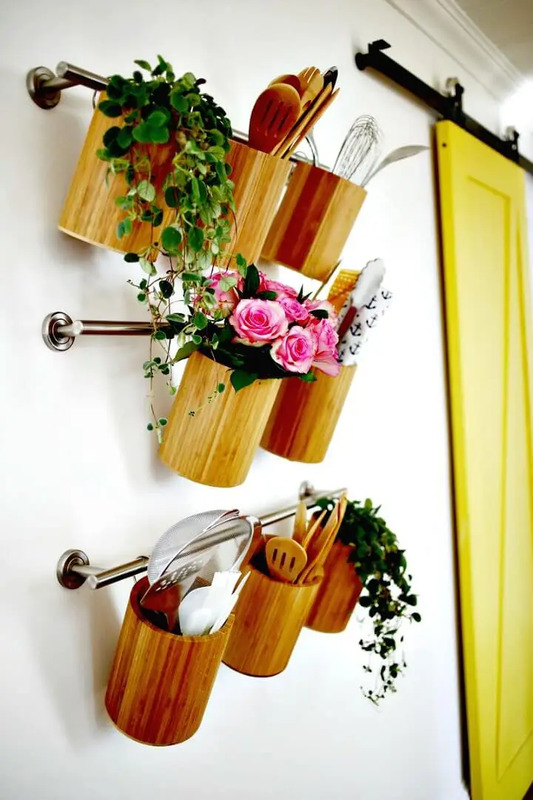 Just add the custom curtains rods or metallic towel racks in your kitchen and then add the bamboo utensils holders onto them using curtains rings and gain outstanding kitchen wall organizers! 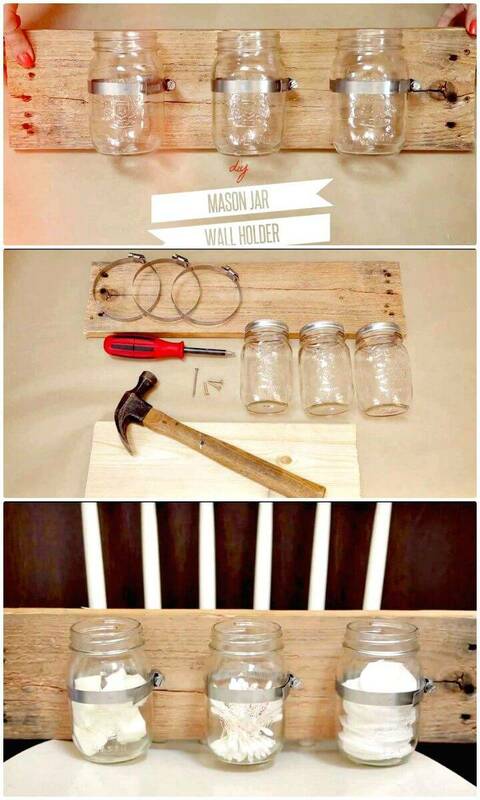 Grab the custom wooden slats and then add them up by mounting the recycled Mason jars and make lovely wall storage stations in no time! 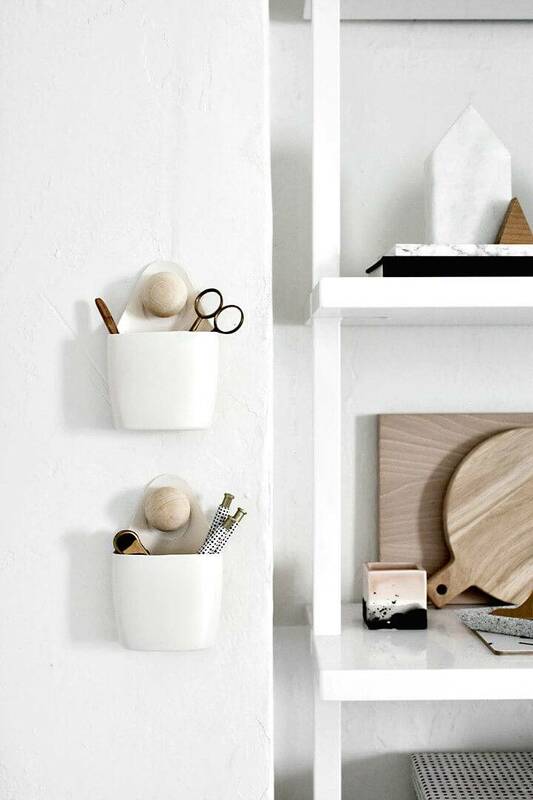 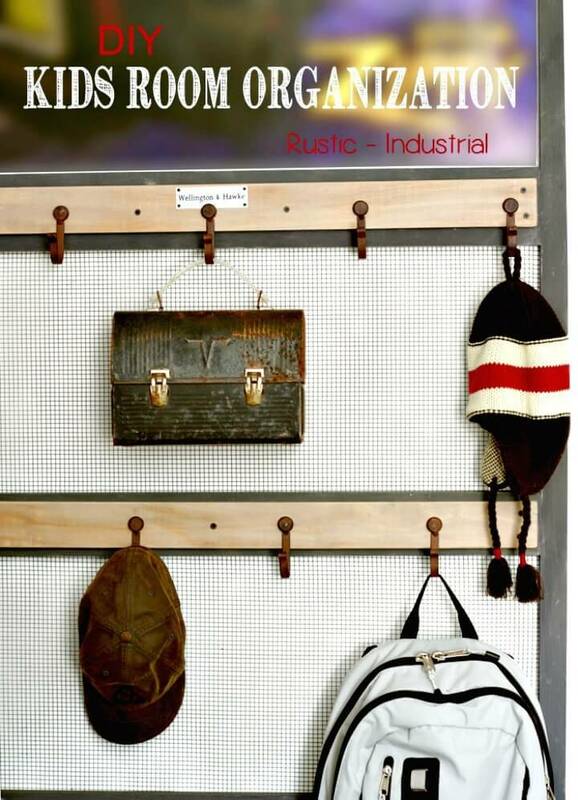 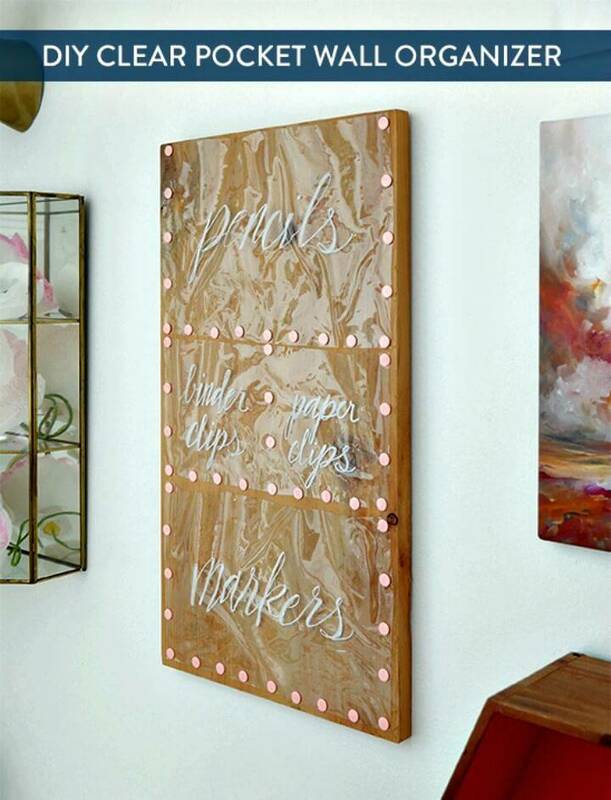 Also go smart with the wooden beams or lengths to build manually some great wall organizers with custom built-in shelves and storage boxes, just have a look at the given craft supplies organizer that come in enchanting chic white appeal! 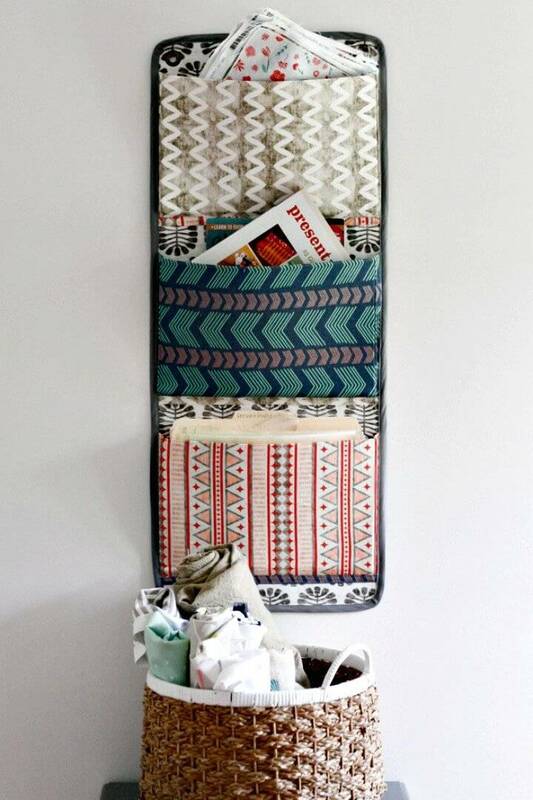 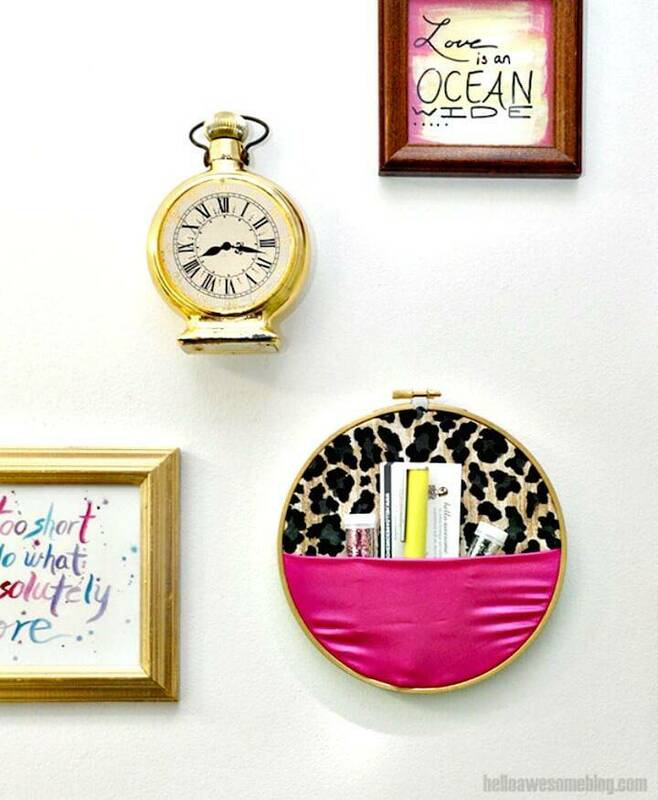 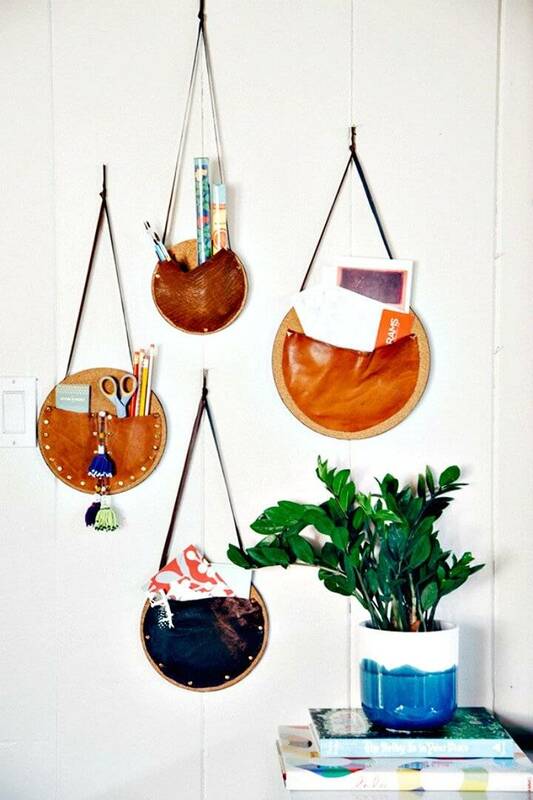 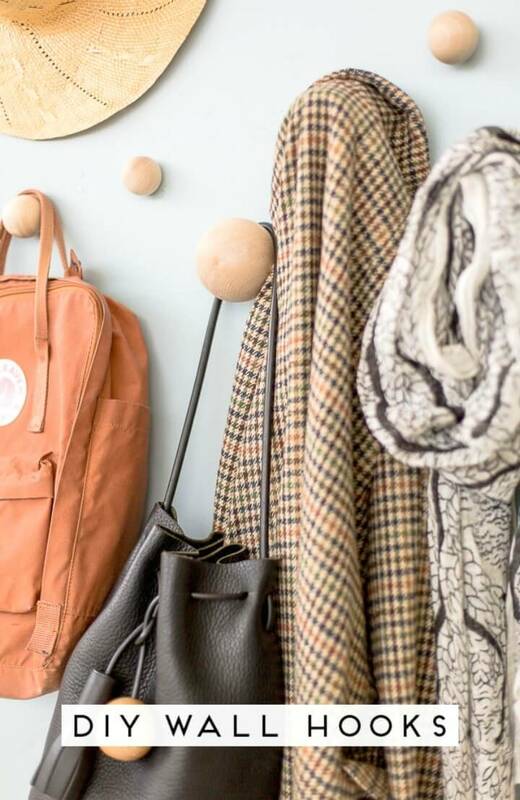 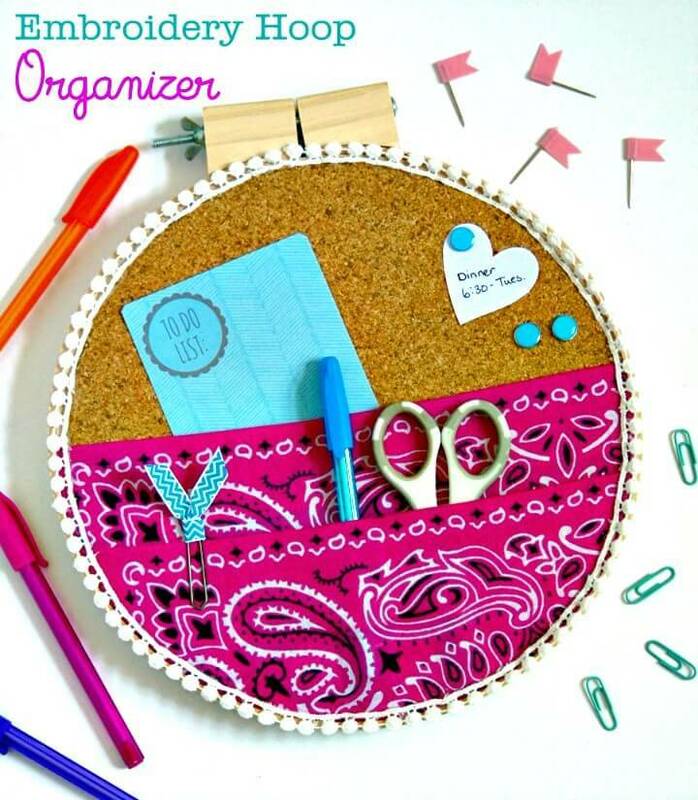 Install the fabric pockets to an embroidery hoop and then hang it on the wall as no-cost but lovely wall organizer and also make outstanding shelving and wall storage stations using pegboard, wood scraps, and wooden plugs! 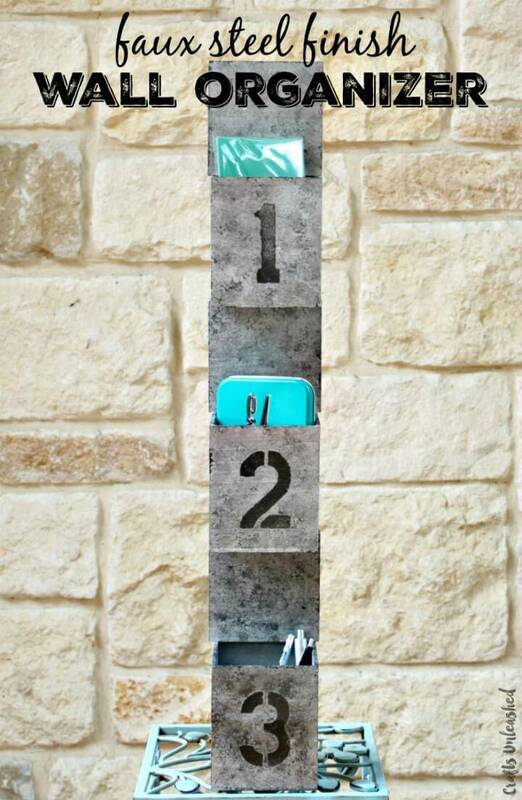 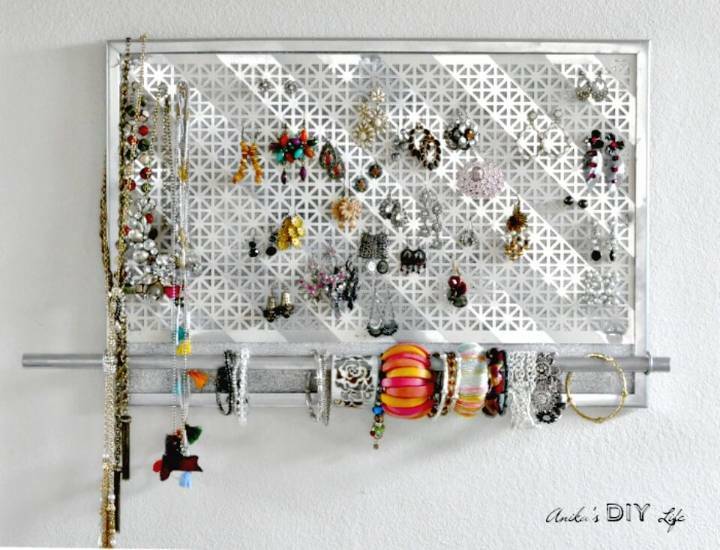 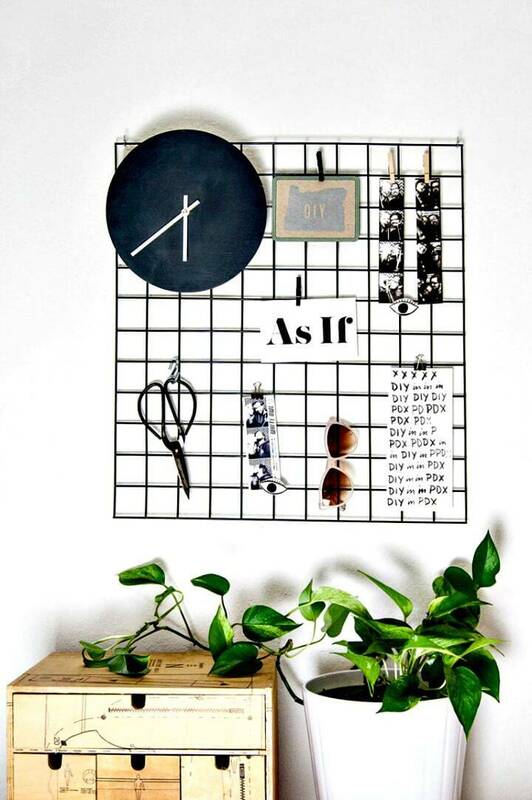 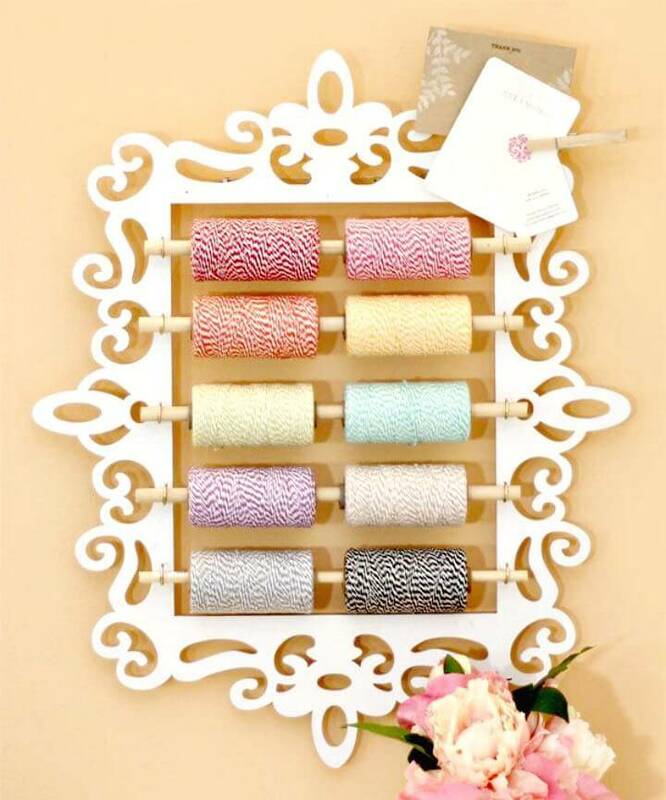 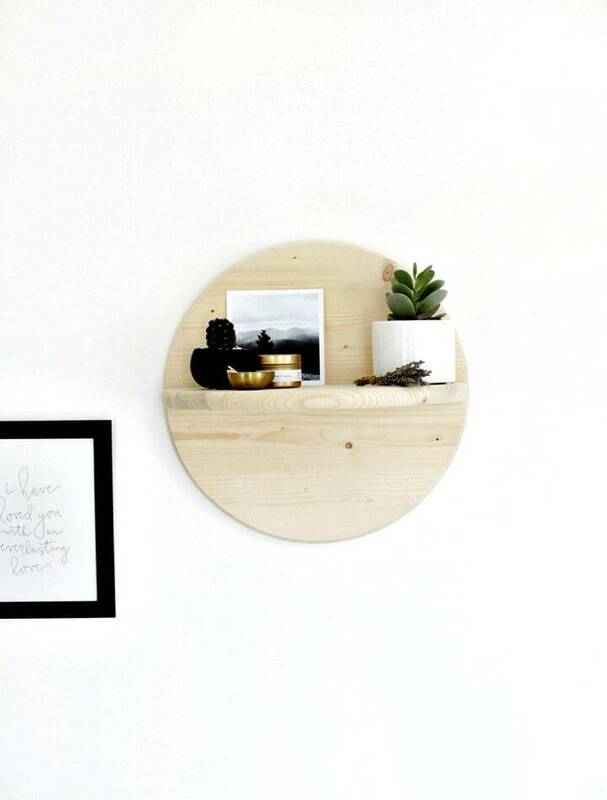 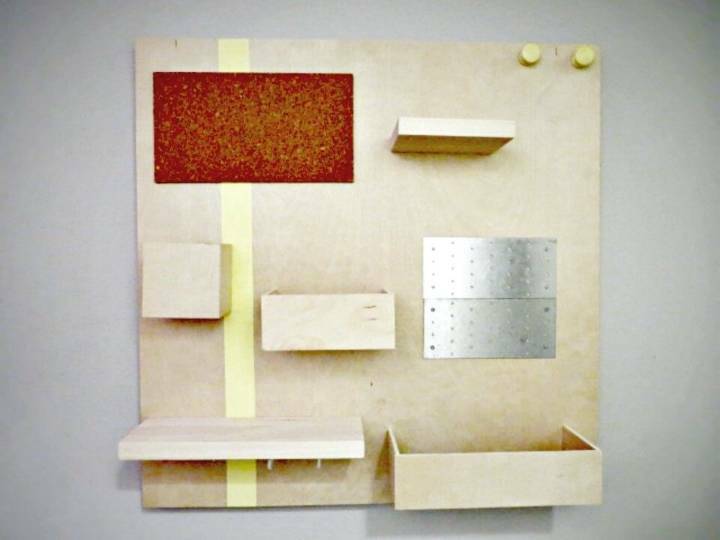 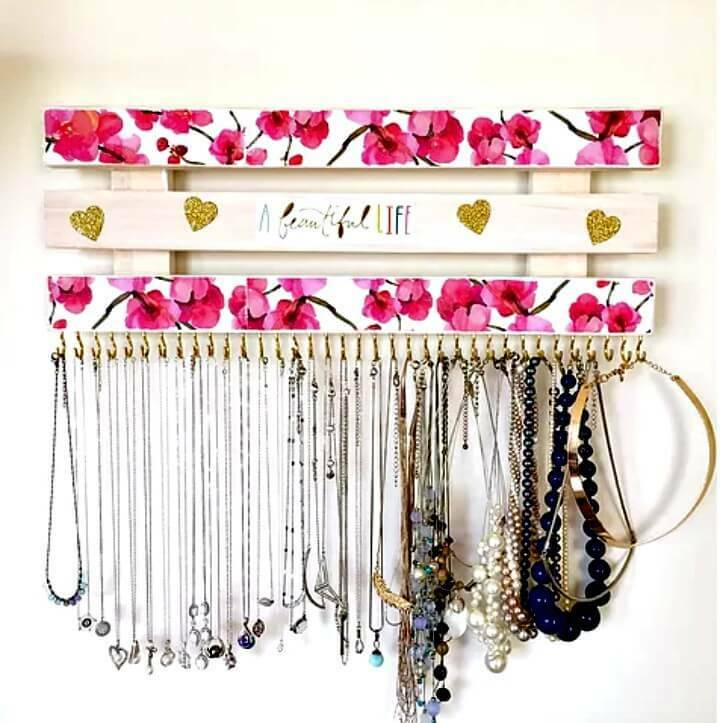 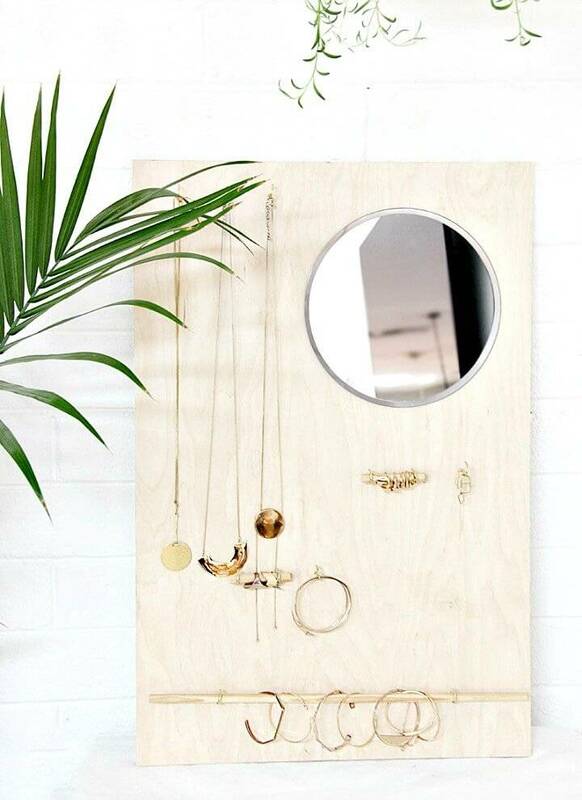 Add custom mini wooden boxes or shelves on a plywood sheet and gain a lovely wall organizer and also add a wooden board made of wood planks, with lots of metallic cup hooks to gain precious jewelry organizers, check out a lovely sample given below! 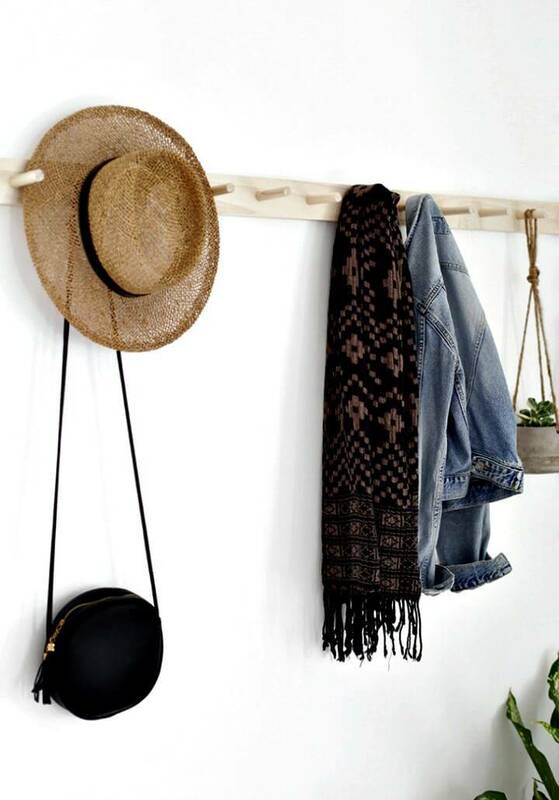 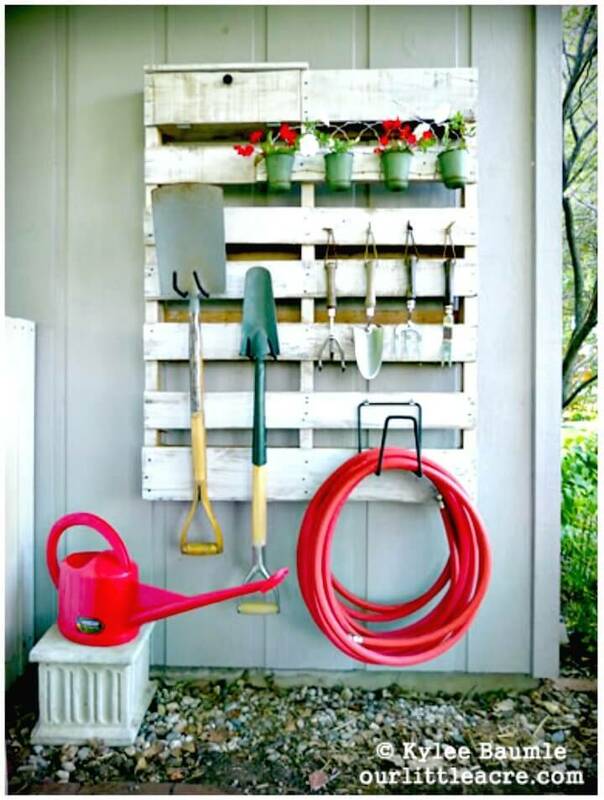 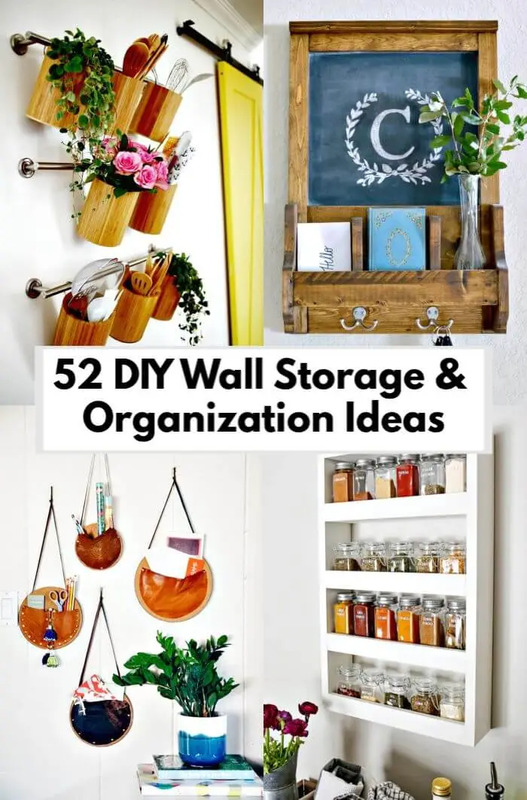 Just check out a lot of more DIY wall storage & organization projects and ideas for small spaces in the given below list and do visit the attached links to reach to full free guides, visual instructions, and step-by-step tutorials!! 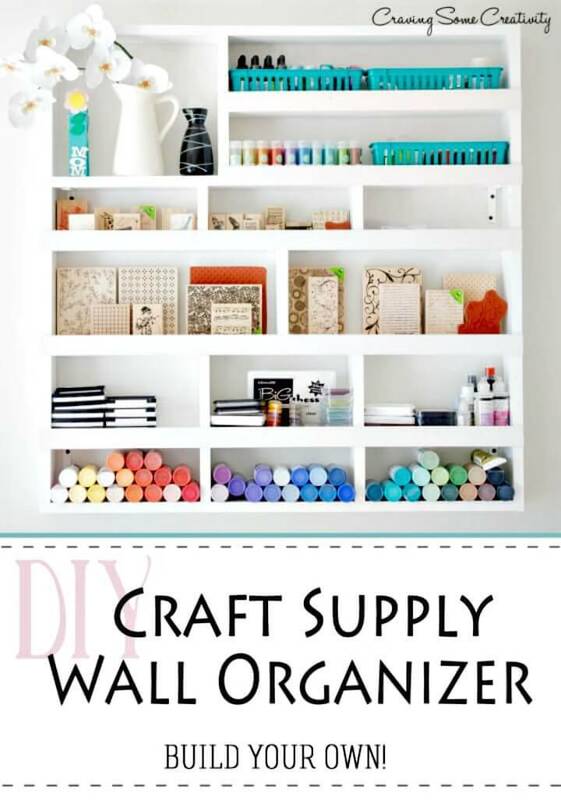 Get inspired by this another lovely wall organization station that has been done to organize the kitchen spice jars! 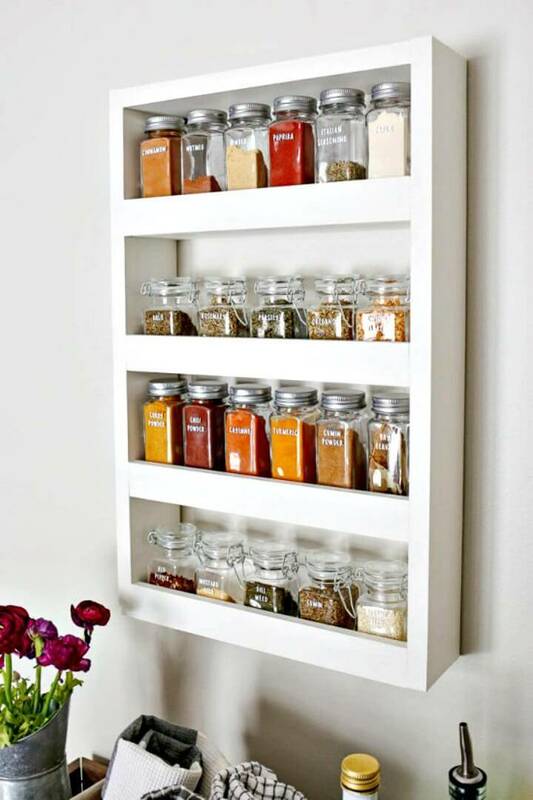 This is here a superb spice rack that is made of hardwood and plywood and comes with a rectangular wooden frame that is having two built-in wooden shelves which have been made more secure by installing wooden dowel rods in front as great looking fences! 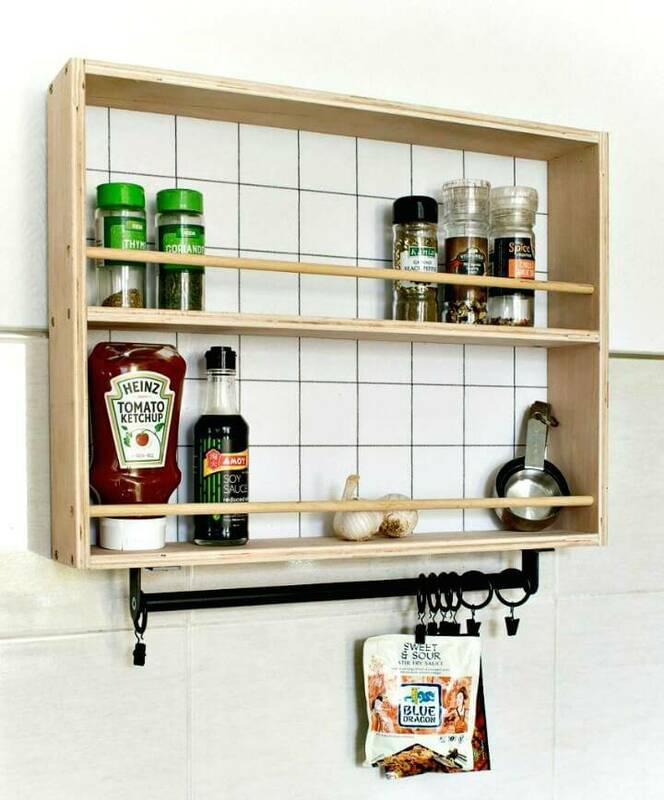 Finally, the IKEA grundtal bar has been installed to the bottom of the spice rack which comes with curtain hooks to hold different packs and sachets! 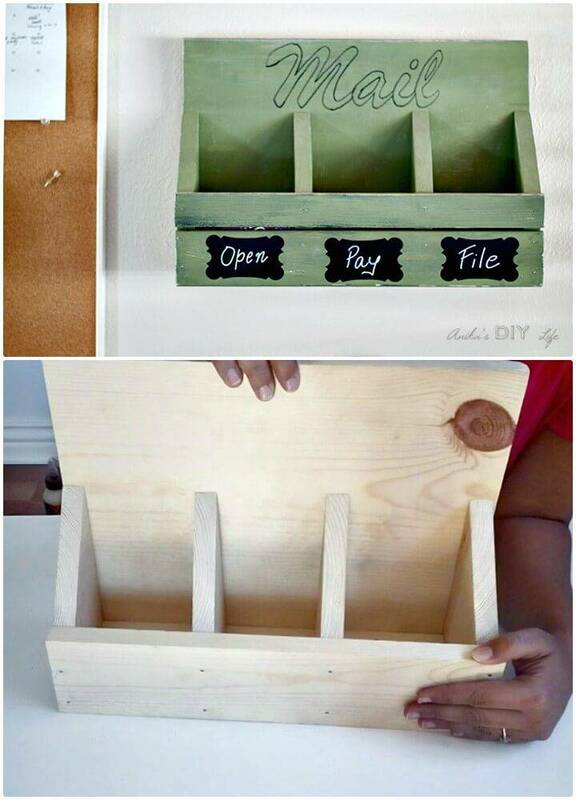 Complete project instructions and tutorial here grillo-designs.